StandardsWork receives a second multi-year contract from the U.S. Department of Education’s Office of Career, Technical, and Adult Education to help states build sustainable standards-based adult education models. The current contract helps to build the capacity of state and local adult education program providers to meet the needs of all students, particularly their growing population of English learners. The Skillman Foundation supports SW in developing for the Detroit Public Schools Community District a set of K-8 teacher resources, which they will provide to the wider community open source, to aid in the implementation of the newly adopted EL Language Arts curriculum. The William T. Grant Foundation awards SW a grant to facilitate a community of practice in which educators working with English learners in five public school districts across the country apply strategies learned from some of the most distinguished researchers in English learner literacy. 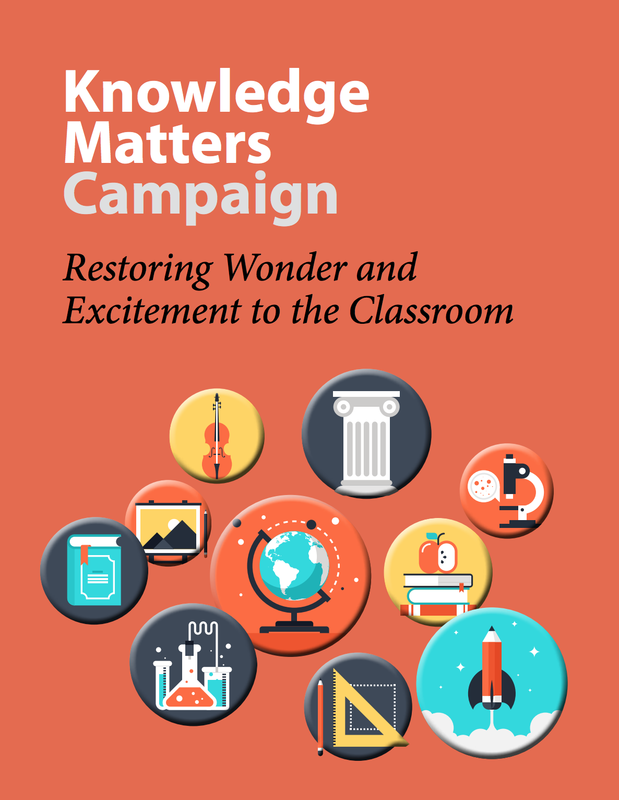 StandardsWork adopts the Knowledge Matters Campaign which exists to restore wonder and excitement to the classroom by putting history, science, geography, art, music, and more back into the education we give all students, especially those least likely to gain such knowledge outside of school. 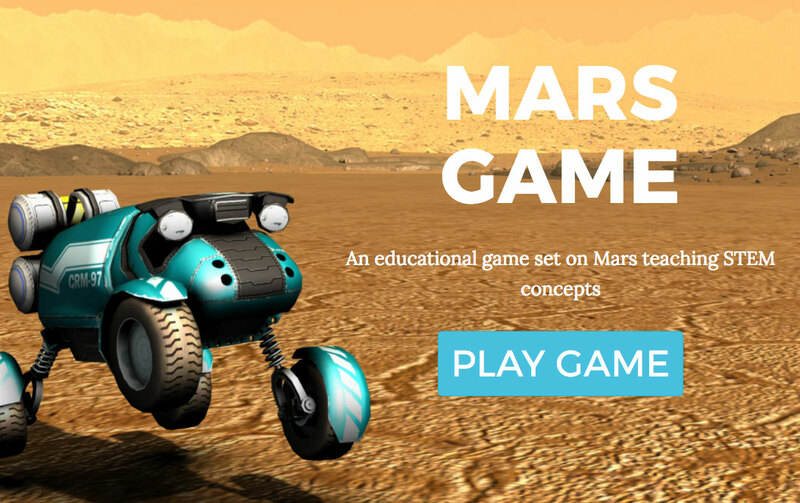 For a two-year research project of the Advanced Distributed Learning (ADL) Initiative of the U.S. Department of Defense, StandardsWork partners with Lockheed Martin to develop The Mars Game (www.themarsgame.com), an immersive 3D game that teaches math and programming to high school students, especially those who struggle. Five studies, including two RCTs, show boys and girls can be motivated to learn complex concepts while playing well-designed games. U.S. Department of Education, Office of Career and Technical Education awards StandardsWork a four-year contract to build and deliver a training program to help state and local offices of adult education adapt their adult learning programs to college and career ready standards. StandardsWork completes K-12 English language arts and reading standards for the Texas Education Agency. 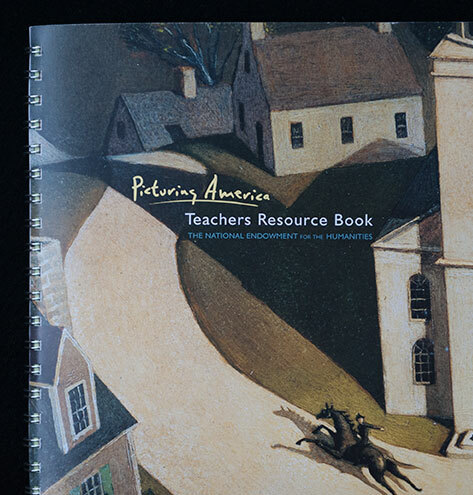 National Endowment for the Humanities commissions SW to provide curriculum advice/counsel, including the development of cross-curricular learning connections for iconic images, as part of the widely-heralded Picturing America project. 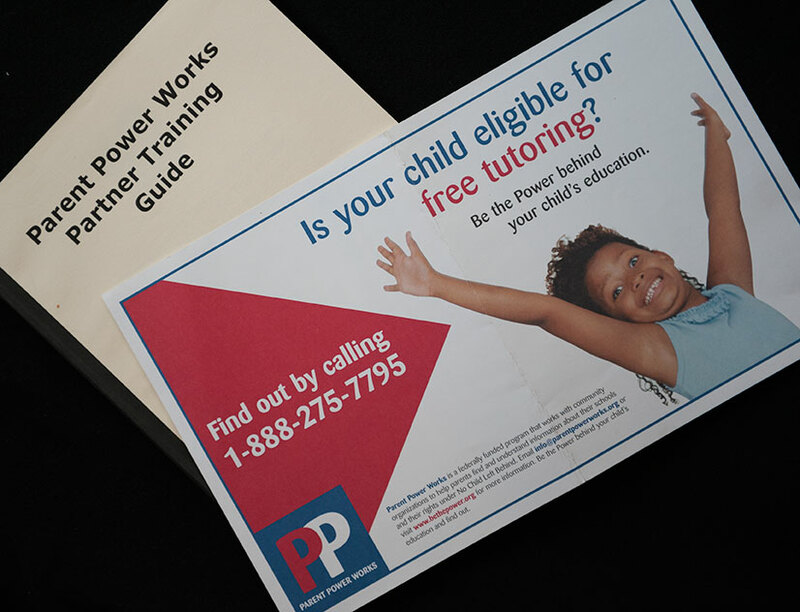 Charter networks, including Friendship Public Charter Schools, Boys Latin of Philadelphia, and Community Academy Public Charter Schools engage StandardsWork to develop standards-based curriculum tools and train teachers in their use. 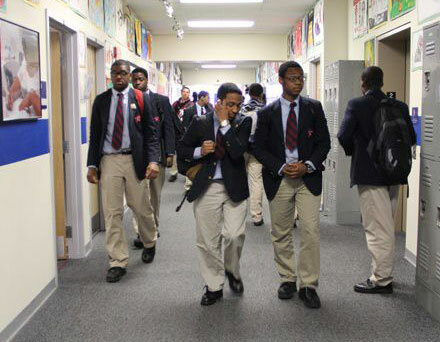 District of Columbia Public Schools engages StandardsWork to lead an overhaul of its academic standards in English language arts, math, science, and social studies, an effort that results in DC's standards – once considered some of the worst in the nation – being rated among the very best. StandardsWork goes on to develop curriculum framework documents, parent guides to the standards, and many other support tools over a three-year period of extensive work with DCPS. The National Assessment Governing Board (NAGB) engages StandardsWork to conduct field work to determine how participation in the 12th grade assessment might be increased. 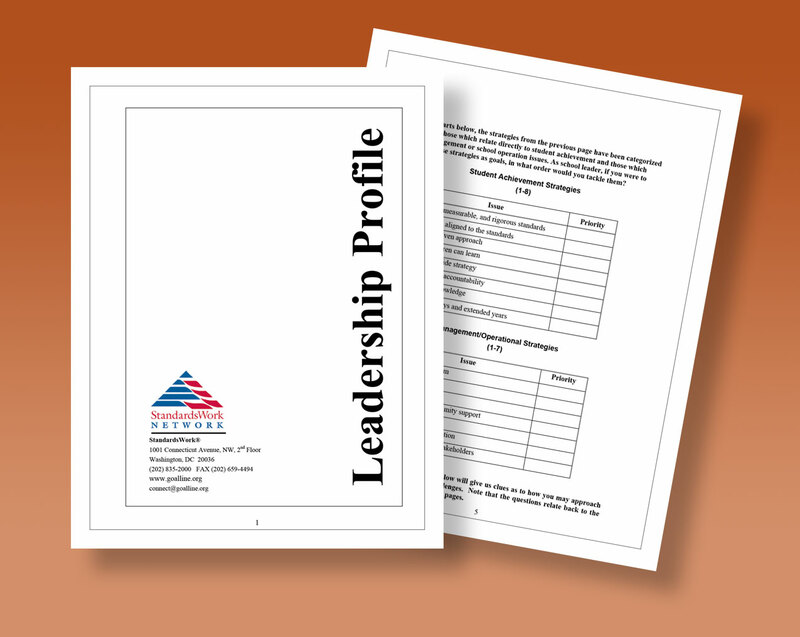 Ray Fields, Assistant Director of Policy & Research at NAGB said, "Governing Board members continue to remark on the exceptional quality, clarity, and usefulness of the final report product…The relationship was collegial, the communications clear and open, the staff expert and cordial, and the work products excellent." American Board for Certification of Teacher Excellence (ABCTE) launches multi-year contract with StandardsWork to facilitate the development of standards – in English language arts, mathematics, science, history, geography, and professional teaching knowledge - upon which "passport" exams will be developed to alternatively certify teacher candidates. 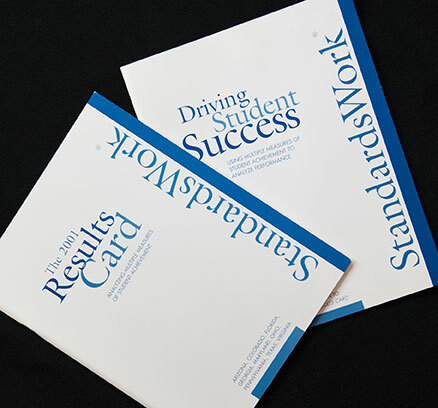 Indiana Commission on Higher Education engages StandardsWork to create “super standards” and evaluate the quality of state curriculum framework documents and cross-curricular activities to them and the state's grade-by-grade academic standards. 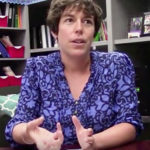 U.S. Department of Education, Office of Innovation & Improvement awards StandardsWork a three-year grant to conduct public awareness campaigns in Washington, DC and Baltimore, Maryland to share school accountability information and encourage more active involvement by parents in their children's education. On behalf of Achieve, Inc., provided research, technical assistance, and policy guidance to the America Diploma Project, work that went on to form the basis of the Common Core State Standards Initiative. The first “Results Card”, a report on multiple measures of student achievement in 10 states, is published. Measures include writing proficiency, college remediation rates, percentage of the state's kindergarteners who attended Prek, higher level course enrollments, chronic student and teacher absenteeism, etc. A follow up report, “Driving Student Success”, described results for a state policy audience eager to begin implementing the new federal No Child Left Behind law. HireStandards was launched to provide executive search services to school districts and charter school operators looking for academic leaders capable of driving standards-based reform efforts. The Arizona and Maryland State Departments of Education engage StandardsWork to help develop state standards, as do school districts in Allentown, PA and Ardmore, OK. The Arizona work included standards for adult education and English language learners. The California Commission on the Establishment of Academic and Content Standards engages StandardsWork to lead the writing, editing, and benchmarking of CA's state standards for ELA, math, and history/social studies. California was one of the first states to develop high-quality standards based on defined criteria. The standards have received widespread praise from experts and teachers and are still considered among the best in the nation, frequently being used as the foundation for other state standards. 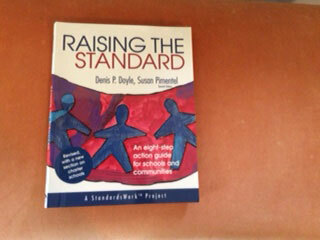 Dennis Doyle and Susan Pimentel's “Raising the Standard – An Eight-Step Action Guide for Schools and Communities” is published by StandardsWork, Inc., an offshoot of the America 2000 Coalition that was started by Susan Pimentel and Leslye Arsht to provide support to communities working to develop state and district standards. Goal Line, a first-of-its-kind online network designed to spread the word about exemplary programs, was started to showcase what good schools look like and to advocate for programs and practices that work. Many of the programs in this database, e.g. AVID, Parents as Teachers, continue to be successful interventions today. The America 2000 Coalition is founded to support the national education goals by linking businesses and social-service organizations to local school reform efforts. Central to the organization's mission was to "find the good and praise it”, a guiding principle of then Secretary of Education Lamar Alexander that was coined by his friend and author, Alex Haley. Our mantra is that building knowledge is the work of schooling. This idea doesn’t sound especially radical, but it is. Why? Because for decades K-12 education has largely been focused on the development of critical thinking skills with ever shrinking time dedicated to subjects in social studies, science, and the arts that build knowledge of our world and provide the grist for skills application. In adopting this mantra, StandardsWork aligns itself with, and advances the goals of, the Knowledge Matters Campaign, for which it assumed direction in fall 2016. 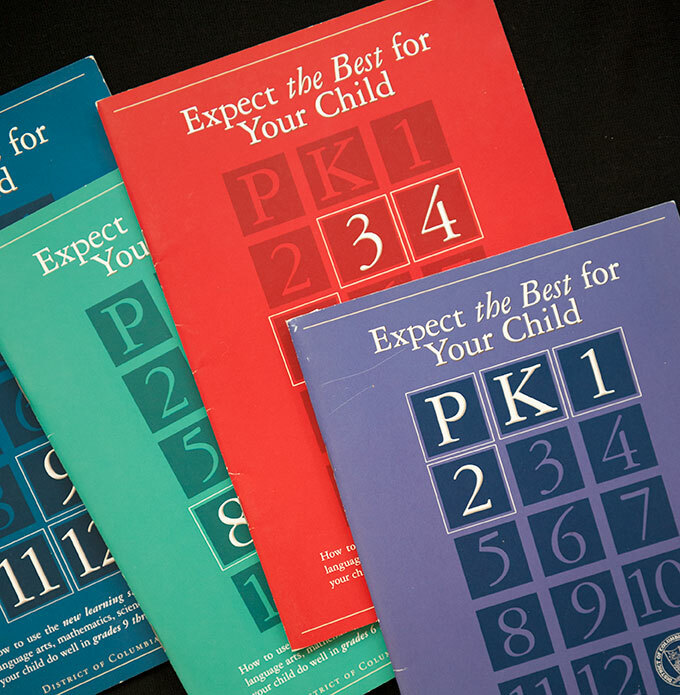 A wealth of resources for teachers and parents are housed on the Knowledge Matters website, which we invite you to visit. This article sums up the case for building students’ background knowledge, claiming it is the only truly effective lever for improving reading comprehension.